"More Sales, More Profits, More Freedom"
Tell me your time zone and a few dates and times. Thanks for booking your consultation, I will be in touch ASAP! #4 Trying to spend your way into success. This can mean buying a full-page print ad when a 1/6th page is perfectly adequate (in fact, there are several examples where the smaller ad totally out performs the bigger one.) This can mean blowing money on most every media’s “deal of the week” or panicking to run ads when things are slow. I don’t care what anyone tells you, spending and results are not directly related. Why? It costs you the same to run an ad or mail a bunch of letters that end up in the trash as using ones that create a flood of phone calls; the only difference is the RESULT. Sure, you want a solution for making the phone ring, but great marketing goes farther than that. You’d like to boost your image without breaking the bank. You’d like way more referrals (actually pretty easy if you know the phrase to use). You’re sick of losing customers you “thought” were yours. You feel there MUST be a way to win customers that are NOT price dependent, weather dependent, or rely strictly on the economy. And you’re right. Guess what else? NONE of those are problems with your product or services. They’re marketing problems. And they’re not your fault, because you’re not supposed to wake up one day and just “know” the answers to your marketing challenges. you can keep earning the money you’re making now, settling for the results you’re getting on a day-to-day basis…and dealing with the same marketing problems in your business that could be sapping the energy right from under you…. …or you could take action right now and discover an alternative, more lucrative way that most of your competitors will NEVER know that has been a virtual goldmine for other business owners who have listened to what I have to say. I’m Prafull Sharma and in addition to running a software company HireRabbit, I help successful businesses generate more leads and sales by fixing their website and marketing funnel. And I’m offering you a FREE 30 Minute Internet Marketing Consultation to show you how easily you can bring in new customers every single week! Why Should YOU ACT TODAY? This offer is important to you, because it will put more money in your pockets each month, and I am 100% sure about it! And you know they say it’s best to call in the professionals, so you can do more of what you’re good at: Running your business. Once I reveal to you the strategies I’ve learned and how they will easily and quickly fit into your business, you’d be crazy to pass up on this opportunity. I’ll provide a comprehensive analysis and offer a few great tips on how you can very quickly improve your response and conversion rates. The #1 reason why 99% of websites NEVER generate sales and leads to their potential, and how you can avoid making the same costly mistakes. The most valuable asset your business can ever have and WHY you could be losing a “fortune" by neglecting it. 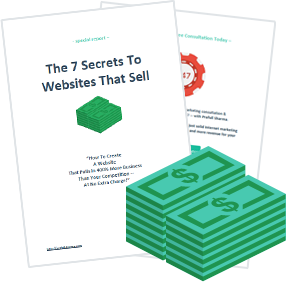 The simple, yet powerful "lead generation” strategy designed to transform your website into an online selling machine that can generate leads for you 24 hours a day, 7 days a week...even while you're asleep! Imagine a comprehensive critique of your website and marketing funnel that highlights your problems and offers simple, cost-effective solutions to remedy them. Then imagine your online marketing AND your business performing as well as you KNOW they should be. And that is precisely why your call to me today could very well be the best business move you make! I focus on generating more leads and more sales for you, by fixing your marketing funnel. My proven methods deliver tangible, measurable, guaranteed results. I focus on a revenue generating online marketing strategy, as opposed to branding, for best conversion, sales and profitability. I don’t sell time, I sell value. My fee is based on the value I add. It’s always a fixed fee agreed upon up front. Never any surprises, like many who charge an hourly rate that can get way out of hand. Then, after our call you have two options: You can either freely use my advice to improve your website, or save yourself time AND get guaranteed results by hiring me! And even if you don’t decide to work with me today, after our brief discussion you’ll undoubtedly get more value from your website and marketing than ever before. and more sales from your website. Schedule your FREE 30 minute consultation today! There is no obligation whatsoever. Simply fill out the form and and my assistant will arrange a time for you and me to have a confidential chat about growing your business! © 2013 prafullsharma.com all rights reserved. No thanks, I don't like to get more business.